We all come to the Chilcot Report with our own baggage. The interviewers who asked me if I ‘regretted’ my involvement may have little real interest in an expression of regret for victims, but seem to be mindlessly playing the media apology game. But that doesn’t surprise anyone. As I have explained in numerous media interviews , I didn’t decide to invade, nor did I invade Iraq. I’m only trying to understand and comment on Sir John Chilcot’s report. I remind myself that almost certainly large numbers of Iraqis were still alive when I left Iraq because of the actions that I took. But if you don’t believe in war, if you think every problem in the Middle East can be put down to the US, the Jews or oil, if you think that Australia has no interests in the Middle East, if you’re mindlessly anti-Blair, Bush or Howard, or you believe what you read on the internet, then please stop reading here. There’s enough blame to go around for what happened in Iraq, but we all need to stay accurate about what happened, particularly what didn’t happen, and who to blame. The average military conflict like Iraq historically takes around nine years to conclude. The Iraq war took a little less. If it had been conducted correctly, it should—in my opinion—have taken little more than two years. In the past, the number of capable security forces needed in similar wars was 20-25 personnel per 1000 of population. When I fought there (2004-05), we had a ratio of seven per 1000. By 2010, before the US started to drawdown its forces, we had 28 per 1000, some less capable than others, but there was significant stability. You will fail in any war, regardless of the decision to go to war or intelligence or WMD or morality, if you go to war inadequately resourced. US military leaders publicly told Rumsfeld how many troops they would need to stabilize the country after the invasion, and they were publicly discredited and quietly removed.. Maybe the real disaster had nothing to do with pre-war intelligence failures or the invasion, but political incompetence during the stabilisation phase, because the invasion was military brilliance against a rump army. The critics say you always ask for more troops. I don’t. I ask for the right number of troops. I accept that between 150,000 and 200,000 Iraqi civilians were killed during this conflict (the vast majority killed by our enemies as a central part of their strategy), and this is the tragedy of war. But in Syria many more have been killed and millions of others displaced and Blair didn’t intervene there. By 2011 when the US left, the first Maliki government had not yet shown its full idiocy, there was a level of stability that hadn’t been seen for decades in Iraq, and the Iraqi army was capable enough to handle the enemy that we had left to them. Whose failure was it then that between 2011 and 2014, the second Maliki government abused the army, replaced commanders with sectarian incompetents, cut money from the army so that soldiers had to buy their own ammunition and no training was conducted, and who used Shi’ite militias to abuse the Sunnis and drive them into the hands of Daesh? Was the rise of Daesh due to the invasion, or might it also have been due to the Arab Spring, the incompetence of Maliki and his impact on the army? Was it the Syrian civil war and Assad’s own actions, together with the failure of Obama to insist that a residual US force stay in Iraq? I would argue that if the recommended 10-15,000 strong US residual force had remained in Iraq, neither Fallujah nor Mosul would have fallen. Perhaps this is the real US failure. Perhaps there wasn’t enough intervention. The other so regularly ignored factor by those who are blinkered by their baggage, is what might have happened had we failed to intervene. Saddam had already killed a million people in the Iran/Iraq war, gassed the Kurds, killed thousands more in the marshes, destroyed Kuwait and probably routinely killed at least tens of thousands of his people. Of all despotic Arab states, would the Arab Spring not have touched him? Would the Syrian civil war not have inspired the Shia and the Kurds to rise in rebellion? 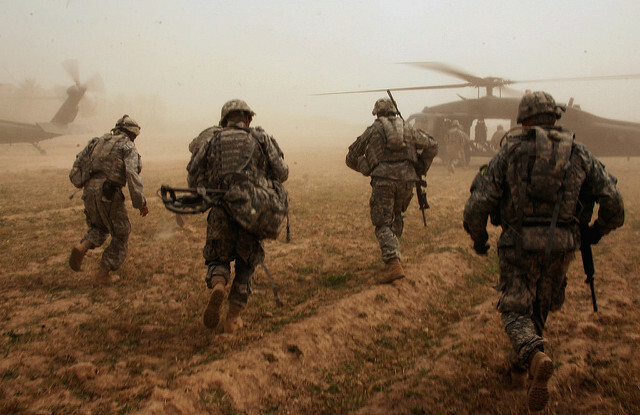 There are consequences for inaction, just as there are consequences for going to war in Iraq. And perhaps there’s a difference between why we went to war, and the justification of that war. The Chilcot Report is excellent in its consideration of how the British conducted their part of the Iraq War, and how it was a strategic failure for them. Indeed it was a failure, because of the decision made by Blair to accompany the US to one war, and then as that conflict flared up in 2004 and 2005, to pull UK troops out and send them to Helmand, again in inadequate numbers and inadequately equipped. I would condemn Blair and Brown as much for reducing their armed forces in the late nineties and then sending them to fail in two wars simultaneously—Iraq and Afghanistan. Jim Molan served as Chief of Operations for the Multinational Force in Iraq from 2004-5.